Another Wednesday and another What I Ate Wednesday Post with Peas & Crayons. If you get a chance check out all the other foodie bloggers that join in Peas & Crayons and blog about what they’re stuffing their face with. There’s A LOT of yummy and healthy recipe suggestions to check out and if you blog about food you may as well join the WIAW link party too! I didn’t document all my meals but I did photograph my morning breakfast. Now that the mornings are warm enough to have meals outside it’s wonderful to start the day off with a light and healthy meal outdoors. Here is what I ate… Toast with my homemade bread recipe that had walnuts instead of sunflower seeds and fresh rosemary was added for an extra burst of flavor. That was topped with avocado, tomato slices, sweet red onion and a side of cottage topped with Sriracha sauce and fresh garden herbs. And, of course, black coffee to drink. Thanks Steve! You’re a foodie, you should join the #WIAW crew! HOLY CRAP!!!!! 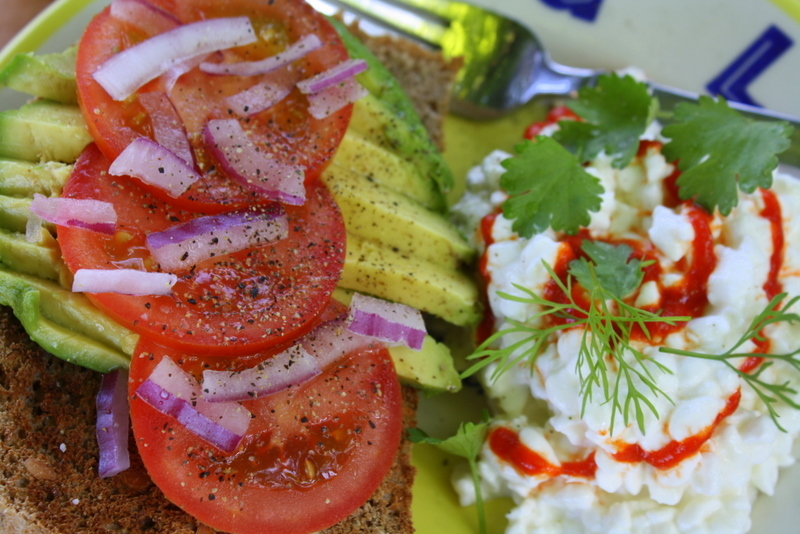 Cottage cheese and sriracha!? yes… this will be tried! =) love it! 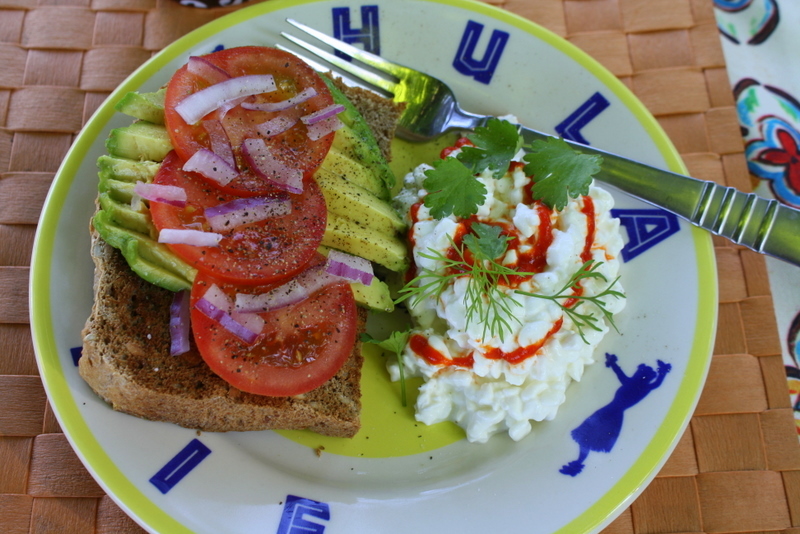 So nice to have a light breakfast outside…mine much less “fancy” than yours’, though! And I have to go into the shade much after 8 am! This would make a great dinner Annie!